Only six months until the European Parliament elections! 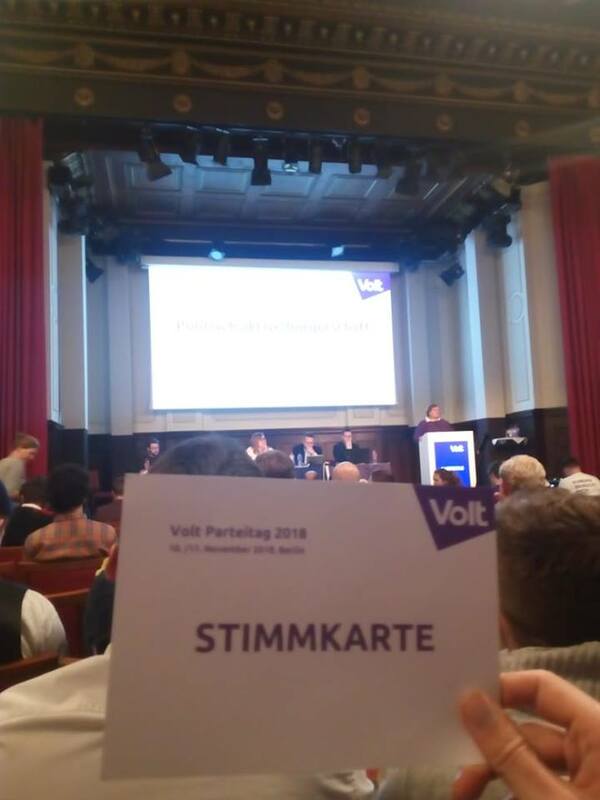 A very young party called Volt wants to enter this election with a pan-European list, and among their members there are also several AEGEEans. One of them is AEGEE-Aachen member Benni Battke. 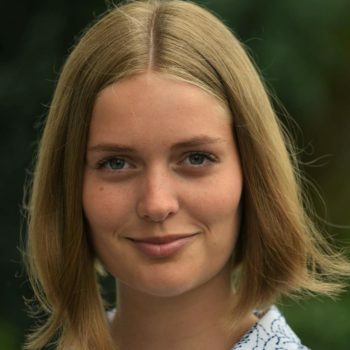 Another new association was co-founded by AEGEE-Aachen member Katha Hertz. Benni had a look at both young movements and wrote the following article. Life after AEGEE: still being AEGEEan, I joined first the movement “Pulse of Europe” after it popped up in Aachen. For almost two years I was active, we organized rallies with open microphone, a march and different other events to promote a positive and better Europe. After visiting the General Meeting in Luxemburg in 2017, I could not see any significant organisational steps in Pulse of Europe. No open association was formed, no clear competencies or democratic processes were installed. Also, financial transparency was an issue. Since Pulse of Europe did not want to become a party or even partisan and hesitated to join forces with other groups, I became inactive soon after. 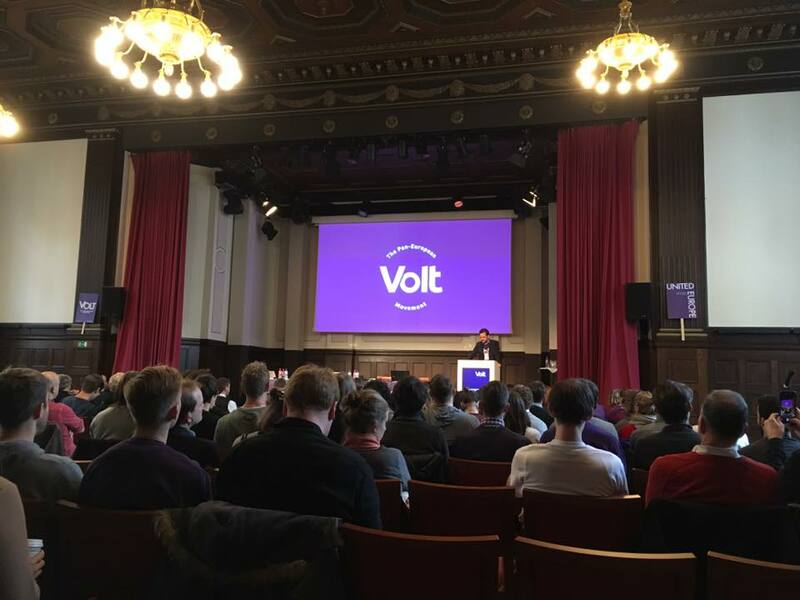 In May this year a friend from Pulse of Europe told me he became active in this new European party named Volt. After a while I went to a meeting in Aachen and since then I am more or less active there. At least it is political, has radical European ideas and motivated members, I thought to myself. 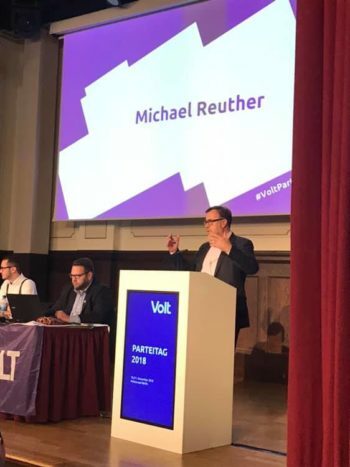 Volt Europa is a 1.5-year old pan-European party. By now it has been registered in 13 countries, it has a little office in Brussels and maybe 2000 activists around Europe. It is comparable to Newropeans with a broader base, wider approach and more momentum after Brexit. Interesting: as platform for their internal work they are using Facebook Workplace, probably as first party ever. 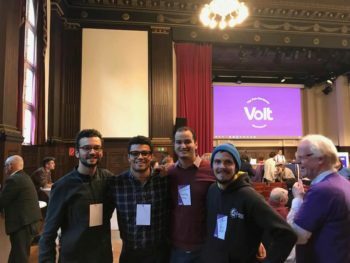 After being at their first general meeting in Amsterdam, where their short campaign program, the Amsterdam declaration, was voted upon, I attended the General Assembly of Volt Germany in Berlin one week ago. 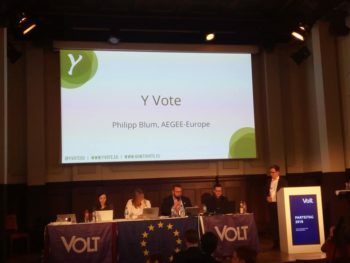 Here also AEGEE was on stage: Philipp Blum presented the project Y Vote and their newly developed app „How to vote“, making it easier for EU expats to vote from another country. Back to Volt. The official statement says: „We are nor right nor left“. However, looking at the programme it surely seems progressive and a bit lefty-green-liberal. In Berlin I could hear some really good speeches of candidates for the European Parliament, highlighting the migrant crisis, climate change, environmental protection – and that a party has to serve the citizens and not the other way around. Social equality is a big issue and humanism, as I would call it; meaning that: reason is valued higher than ideology and people higher than special interests. 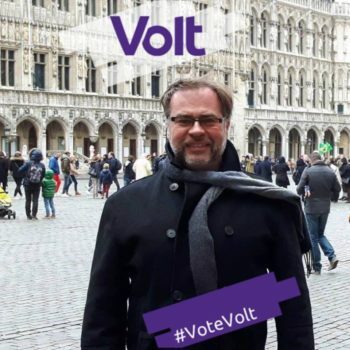 Volt has some comparably radical ideas like a European President, getting rid of the Council and Commission and getting a real European government, where decision making is transparent and accountable. I met a truly motivated bunch of people even including some former and active AEGEEans. I like it, too. I am all in with EU reform. Sometimes the ideas are too liberal for me or don’t interest me, like digitalisation. But for now I think these will be hypotheticals for 10 years to come, anyway. Let’s grow and develop Volt so it can reach a critical mass. So far it hasn’t even reached the organizational state of AEGEE. So, let’s get professional, with votes, financial transparency and a clear structure. There is tons of work right there. I would like them to learn from AEGEE experience. At the same time some AEGEE friends of mine told me about their plans to found a new European party called YES – short for “Young European Spirit”. Just founded on 24th of October 2018, YES is probably the newest European party. So far it is only active in Aachen, Düsseldorf and Cologne with around 40 members – and again, some AEGEEans are among them. Katha Hartz continues: “I will no longer watch how nationalists build more and more walls but actively and politically engage with my vision for a united, strong and self-confident Europe. And so do many other AEGEEans. With our newly founded party we want to shape the future of the European Union and actively defend the values that the EU stands for“. For example, YES wants to shift certain political domains to Brussels, where a European competence makes most sense, such as: digitization, education, energy, migration and development, as well as to remove obstacles to founding pan-European parties. Moreover YES supports a two-chamber system with parliament and a kind of senate. There is still along way ahead being 1.5 years younger as even Volt. And honestly, who has heard about Yes so far? Also unfortunately YES is so far mostly German. Nevertheless, let’s see where they will stand in 18 months from now. Legal, structural and financial issues remain the biggest challenges until groups like YES and Volt develop into fully functioning political parties. It will be interesting to see, if other parties appear. Which ones will manage the structural struggle and which ones will maybe merge to amplify their impact? We can see that AEGEE came a long way and managed many of these struggles successfully. Being an NGO with support from EU and universities is a quite comfortable position, whereas the harsh reality of political parties without huge donors and institutional support is a whole different level.